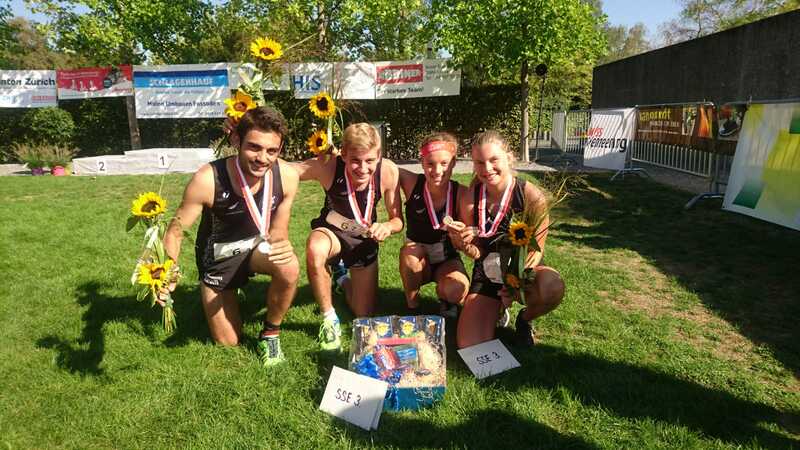 Just after the world cup in Norway I ran the first official Swiss Sprint Relay Champs in Stäfa together with the White Tigers from my Swiss Club ol.biel.seeland. It was a good experience, all of us were able to show a good race and in the end it was enough to get 3rd just behind OL Norska and OL Zimmerberg. Only one weekend later I went to Wallis to join the juniors for the last trainings of their trainingcamp in France and Switzerland. I really like the terrain there. It's difficult, steep, sometimes fast and sometimes very slow but all in all it's just very beautiful. 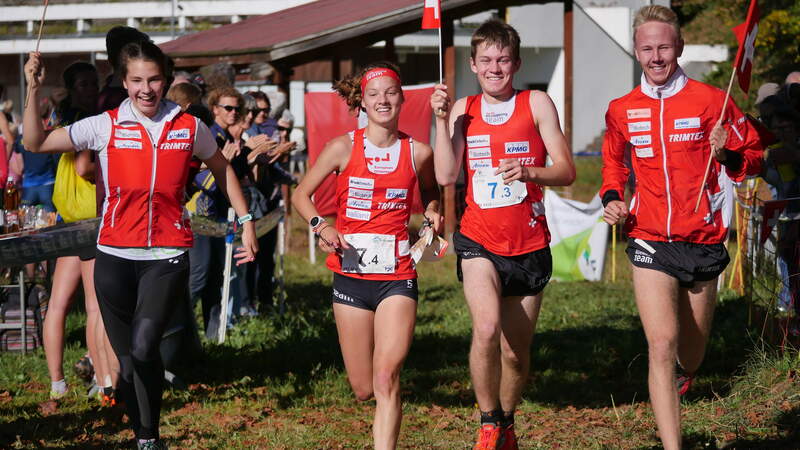 Then I participated in the selection race for the World Cup final, which was a Sprint in Lenzburg. As I was not planning on going to Prague, it was a trainingcompetition, to show me where I stand. Due to a cold, I wasn't in a really good shape and so also my time wasn't that good and the gap to the first ones quite big. The biel.seeland-OL just some days later was the first time for me setting courses for a regional competition. It was a completely new challenge with many new experiences and of course very satisfying to see all the happy faces in the finish! And this weekend it was finally time for JEC 2018 in Switzerland! I had no memories at all from last time I was orienteering there at Swiss 5 days 2012 and the routes a drew on the map looked terrible… Well, that was 2012 and now is 2018, so 6 years passed, and I've improved my technique quite a bit. The competitions at this years JEC were different to the ones we used to have. 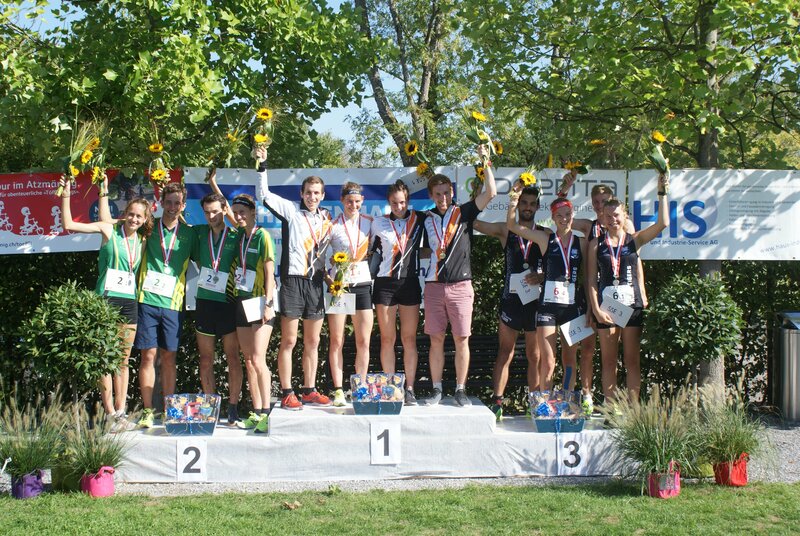 With a Sprint Relay instead of a normal forest relay, a Middle Distance instead of a normal Sprint Distance and a One-Man-Relay Long Distance (Long with mass start instead of a normal Long) we had almost 3 totally new competitions on the schedule. The Sprint Relay on Friday was held in the mountain-village Villars-sur-Ollon. With Lea Widmer on the first leg, Timo Suter on the second, Reto Egger on the third and me on the last leg, we managed to win the race. It was a very clean race for me and I could catch up with the leading team Norway two controls before the arena passage. Even though I took a bad route on the last loop, I managed to increase the lead and so we were able to enjoy a whole run in together! It was so nice to run a real sprint relay at a JEC, as a junior we don't have many possibilities to run sprint relays. The next day I got to experience another new competition at JEC, Middle Distance. From the start to the finish, it was a very good race for me with only few insecurities and I really enjoyed running in that steep and rocky terrain! But it was definitely a bit too much downhill for me, I would rather had it the other way around. And then the day to which I had been looking forward the most, arrived. Long Distance with a mass start and several loops (One-Man-Relay). I had no memories of the last time I was competing in the terrain of Col-de-Bretaye in 2012 (spectator races of WOC Lausanne) when I was 14 years old. But as everyone told me that it's going to be difficult and beautiful, I knew that I would enjoy it! After the mass start I first had to run out of the group of people to be able to do my own orienteering. Already at the first control the bulk spread out. It was funny to see so many runners, but it felt like no one was having the same controls as I had. I only made one mistake on the first two loops and knew at the second map change, that I was in the lead. Only one loop to go. And from the second last control a long and interesting route choice to the finish area. I didn't take enough time to decide my route and at first ran into the direction of the forbidden area in the start area. After some steps I recognized that there was something red on the map, looked more exact and saw that the way there was blocked by a huge forbidden area. Time look for other options, so I took the "sightseeing route" all the way up to the left. Only after I already started, I saw the passage behind the control I left, and thought that would have been for sure the faster route. So I pushed really hard on my route not to lose any time. Very nice to come in first after 50min of beautiful and tricky orienteering! Unfortunately many runners ran straight through the forbidden area because they thought they could use the street through the area. What was really clear for me during the competition turned out to be (maybe) not that clear for everyone. The organizer decided then, to stop the race at the second last control (which doesn't make any sense, because 1. was a refreshment point and 2. you can't just stop a race at a random control when it's a tactical race with a mass start and punish the ones who ran a legally route). If you have a dream, don't give up on it whatever will happen!